This is Matthew's second stint with Gammon & Grange, P.C. His career began in 1990 as a paid Third-Year Practitioner in a U.S. Attorney's Office. 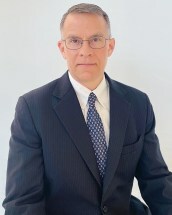 From 1991-1993, he was an attorney for the U.S. Department of Labor in Washington, D.C.
From 1993-2001, he was an associate with Gammon & Grange, where he advised and litigated in nonprofit, commercial, employment, tort, civil rights, constitutional, and criminal matters. From 2001-2007, he was special counsel (2001-2002) then chief of staff (2002-2007) for the Small Business Committee and the U.S.-China Exchange in the U.S. House of Representatives. In addition to managing those congressional organizations, he worked on diverse business and trade issues, ran 20 congressional delegations and trade missions to China, led delegations to 13 other countries in Asia and Africa, and hosted many Chinese delegations in the U.S.
From 2007-2014, he lived in China and served as vice president of corporate relations for chipmaker SMIC (NYSE: SMI), managing international government and public relations, corporate social responsibility, and export control compliance. He also taught law part-time and started the US-Asia Institute’s J. Matthew Szymanski Rule of Law Program (2008-), which he continues to manage for USAI. In 2014, Matthew returned to the U.S., where he has been writing and consulting. In 2018, he rejoined Gammon & Grange as counsel. He and his wife Susan live in Northern Virginia.